Current U21 Men’s Laser Radial World Champion Finn Lynch, of The National Yacht Club has been shortlisted for the prestigious Nissan Generation Next competition which recognises up-and-coming sports stars. The top six nominees will win a Nissan for a year which would be of considerable assistance to Finn during his campaign for the Rio 2016 Olympics. Finn who is currently sitting his Leaving Certificate would like to call on his fellow sailors in the Irish sailing community to vote for him. All you need to do is click on the link below and enter your email address. No registration necessary. Finn is an incredibly talented young sailor from landlocked Co. Carlow. 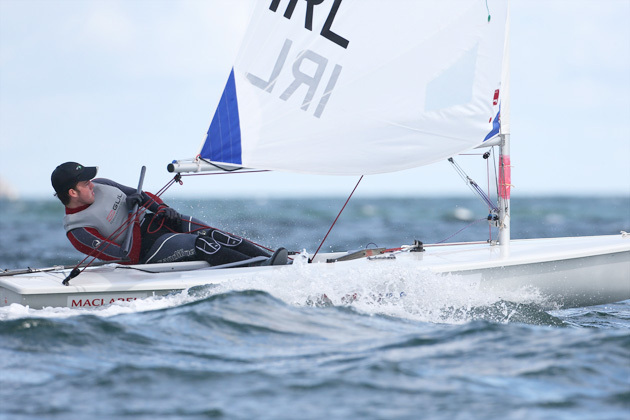 Although only 18, he has already secured one of only two spots allocated to compete in the Laser Standard Olympic Qualifier in Santander this September in the hopes of qualifying Ireland for the 2016 Games. Having only just graduated to the Standard, Finn capped off his Laser Radial career in 2013 by winning the U21 Men’s Laser Radial World Championship and taking Bronze in the Men’s Laser Radial World Championship. He adds these achievements to his 2012 Silver medal from the ISAF Youth Sailing World Championships. However his accomplishments so far are nothing compared to his goals for the future. Finn plans to represent and bring home the Gold for Ireland at the Olympics. He would benefit greatly from the use of a Nissan, as it would cut his three-hour commute to his club; the National Yacht Club in Dublin down to one hour. To support Finn and the sport of sailing please go to https://www.nissangenerationnext.ie/entry/read_more?id=170 and click Vote. No registration required. Voting closes Monday, June 30th at 12pm.